Producer: Frazier Mohawk [Real name: Barry Friedman. aka: Barry Slotkin]. Mastered by Barry Diament at Barry Diament Audio, 171 Rochelle St., 10464 City Island, New York, NY. "I have a habit of leaving places just at the wrong time, just when something big might have happened for me." With those words, Nico wrote her own epitaph for a career and a life which beguiled several generations of rock fans who thought they recognized in her a quality of mystery, of otherness, of forbidden pleasure and dark romance. She didn't much care to talk about the past, but there are two or three things I know about her. She was born Christa Päffgen (or perhaps Pafgens, or maybe Pfaffen) in Budapest to Spanish and Yugoslav parents on March 15, 1943. She lived in Cologne as an infant, and later spoke of hiding in the family bathtub as the bombs fell; she once told me that her father had died in a concentration camp. Educated in France, Italy and Germany, she became fluent in seven languages. In 1958, while on vacation at a friend's house in Rome (actually, the legend says a palazzo), the tall 15-year-old with a helmet of ash-blonde hair and the face of a frozen angel found her way onto the set of Federico Fellini's La Dolce Vita. Carrying a candelabra as an extra in a party scene, she attracted the attention of the maestro, who wrote her in a proper part. Her mother was said to have disapproved; nevertheless, she had found her world. Soon there were Vogue covers, and some time in the next few years she studied at the Actors' Studio in New York, although it is hard to imagine that Lee Strasberg had much to teach her. She was already a presence; the method was entirely her own. She took her professional name from a boyfriend, the filmmaker Nico Papatakis. In 1963, in a meeting of perfect early-Sixties hair-styles, she had a son by the French movie heartthrob Alain Delon. Not long afterwards she began a significant liaison with her own mirror image: Brian Jones, the bad boy of the Rolling Stones, who introduced her to Bob Dylan. In New York, the poet Gerard Malanga introduced her to Andy Warhol. In 1965, in a scene that could have been lifted directly from Time magazine's famous cover story on Swinging London, she met the show-business entrepreneur Jo Lustig at a party hosted by Cubby Broccoli, co-producer of the James Bond movies. "I want to be a singer," she told Lustig, as she probably told many others. A few weeks later she was on Ready, Steady, Go, British TV's Friday night mod-scene showcase, promoting her first single. A folk-rock version of a Gordon Lightfoot tune, I'm Not Saying was produced by Andrew Loog Oldham, the Stones' manager, for his own Immediate label, and featured Jimmy Page on guitar. Somehow, among the Mariannes and Dustys and Sandies, she failed to register. Within months, though, her liaison with Andy Warhol bore stranger fruit. She had already starred in one of his films, Chelsea Girls, and was singing as a solo act at the Blue Angel on East 55th Street in New York when he suggested that she join the Velvet Underground, the new avant-garde rock group in which he had taken an interest. The Velvets were to be part of a multi-media troupe consisting of Factory denizens which made its debut at the Film-Makers' Cinémathèque in the 41st Street Theatre in February 1966. The show was titled "Andy Warhol, Up-tight", and consisted of films by Warhol, music by the Velvets and Nico, dancing by the actress Edie Minturn Sedgwick and Gerard Malanga, lights by Danny Williams and slide projections by Paul Morrissey. Later in the year, minus Sedgwick and plus Ingrid Superstar and Mary Woronov, and now going under the name of "The Exploding Plastic Inevitable," the troupe began a residency at the Dom, a Polish dance hall on St. Mark's Place. All published accounts suggest that they created an atmosphere of single-minded decadence utterly new to rock. The light shows and Malanga's whip-dancing would no doubt look naive now, but we have the evidence of The Velvet Underground and Nico, the group's first LP, released in the spring of 1967, to attest to the lasting dramatic potency of the music, although nothing other than the grainy, bleached-out black and white of Factory home movies and stills can reveal to us the sight of the pale European ice goddess fronting the sullen black-clad combo. Nico's featured songs were two of Lou Reed's poisoned, Femme Fatale and I'll Be Your Mirror and All Tomorrow's Parties where the existential boredom of Reed's lyric met the full force of John Cale's mutant rock'n'roll vision. Cale's gift to music was the forcing together of overdriven electric guitars with the remorseless pounding of the systems-music keyboard style which he had pioneered in earlier collaborations with the likes of Terry Riley, LaMonte Young and Angus MacLise, the Velvets' original percussionist. Thus did Nico become a focal point of the most enthralling and influential rock'n'roll experiment since the day Elvis Presley decided that he wanted to sound black. The mingled indifference and scorn which greeted the Velvets is now part of rock folklore. Their luck was abysmal: signed by MGM, which had little rock experience, they just missed being recruited by Brian Epstein, who would have put the muscle of the Beatles' management behind them, and travel-budget problems prevented their participation in the London club scene of Michelangelo Antonioni's Blow Up, their role going to Yardbirds. Their revenge was not to come for more than a decade, and when it did it could be seen that their influence on successive generations of rock musicians was without equal. In their time, though, commercial failure cost them dear. 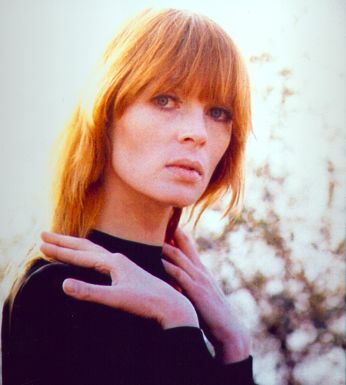 Nico's membership in the group did not outlast 1967. By the end of that year she was again appearing as a solo performer, singing in the downstairs room of the Dom, assisted by a remarkable succession of accompanists, including Cale, Reed, their Velvets colleague Sterling Morrison, Ramblin' Jack Elliott, Tim Buckley, Tim Hardin and a 17-year-old singer and guitarist from Orange County, California, named Jackson Browne, with whom Nico had embarked on an affair. Browne gave her two gorgeous ballads, These Days, and The Fairest of the Seasons, for her debut solo album in 1968, while Dylan presented her with I'll Keep It with Mine and Tim Hardin delivered Eulogy to Lenny Bruce. Most of the rest came from Reed/Cale team, including the title song, Chelsea Girls. Larry Fallon's arrangements used a small string section to flesh out the basic folk-rock rhythm tracks; the effect was conservative, but with a distinctive reserved charm. Her voice was cool, dispassionate, reflected in Paul Morissey's cover shots, which preserved for all time the look of the perfect pensive, passive, high-cheekboned blonde. By the time she came to record her next album, in 1969, all that cool conservatism was changing into something more original, more personal, far more unexpected. The Marble Index is one of the most uncompromising albums ever to be filed under rock: the first to abandon conventional structures and instrumentation, it was really the product of two European sensibilities — Nico's and John Cale's, the glacial mood and now-deepened voice of one allied to astonishingly imaginative musicianship of the other. The key to it lay in her espousal of a small portable Indian harmonium which she had bought, mastered in a basic sort of way, and used as the tool not just of performance but of composition. Like many rock composers, her technical limitations defined her style: the see-sawing two-chord vamps provided the hypnotic setting for her simple but often fresh melodies, which seem to have sprung from some ancient Central European folk memory. The plainless of the material left Cale plenty of room in which to display his matchless command of contrasting and sometimes conflicting sonorities (what, for example, has the dark twangy guitar which stumbles to a subdued halt in the final seconds of Lawns of Dawns to do with the weird clattering and tintinnabulating that engulfs the rest of the song ?). On the other hand, with Nibelungen (one of two previously unreleased tracks included here), he could leave her voice totally unaccompanied, eliminating even the harmonium. Despite winning the awestruck admiration of the readers of such counter-cultural news sheets as the East Village Other and International Times, The Marble Index failed to challenge the supremacy of Nashville Skyline, From Elvis in Memphis, Abbey Road and Diana Ross And The Supremes Meet The Temptations in the album charts of 1969. It marked the end of her relationship with the Elektra label, which had seemed (thanks to its patronage of Tim Buckley, the Doors and others) a natural home for her. Subsequent solo albums were to appear on Warner Brothers (Desertshore, 1970), Island (The End, 1974), Aura (Drama of Exile, 1981), VU (Live in Denmark, 1983), Beggars' Banquet (Camera Obscura, 1985) and Dojo (Behind the Iron Curtain, 1986). Such frequent movement might suggest either the fickleness and fast-results demands of the record industry, or an artist with a difficult temperament. Or both, which was the case of Nico. Even when she produced something as gorgeous as Sãeta, a single released on a British indie label in the early Eighties, she managed to press self-destruction button. She was there and then she was not there. 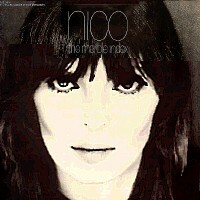 That was Nico, and it was what her original fans had sensed from the start. The music was part of the life, not — however much she protested that she wanted to be famous or popular — simply the means to an end in a career structure. People who met her in later years were often disconcerted. Fed on the image of the aloof Dolce Vita blonde ("another cooler Dietrich for another cooler generation", in John Wilcock's unforgettable description), they found an earthy contralto with dark hennaed hair, shapeless brown robes in thick woollen material covering Cossack trousers and scuffed motorcycle boots. On stage she sat impassive, imperturbable, intoning her songs and pumping the harmonium and occasionally smiling her small, secretive smile regardless of whether the audience was worshipful or derisive. (She loved to shock: once, in West Berlin in the mid-Seventies, I saw the crowd's respect turn to rage as she sang through all the banned verses of Deutschland Über Alles, never missing a beat while Cale and Brian Eno, her accompanists, provided the noises of a thousand-bomber raid as a background. Plastic cushions flew through the spotlights as Cale and Eno raised the volume to drown the booing. Goodness knows what was going through her mind just then). She spent most of her last years fulfilling the demands of a series of threadbare tours, often in Eastern Europe, once in Japan, usually with a small band of devoted English musicians (notably the keyboardist James Young). In private life she shuttled between homes in Manchester and Ibiza, which she had loved for many years and where she died on July 18, 1988, falling from her bicycle after a heart attack, aged 45. I met her first in 1970, ready to be dazzled by what I imagined her to be, bemused by the fact that she looked nothing like the album covers yet only slightly discomfited when she gently cut short our lunchtime interview and left the pub with a stranger from the next table. It seemed to fit the image; the more so when she called on the telephone a few hours later, ending her conversation with the words: "I'm flying to Ibiza. It's my favourite place. I think I'll die there." That seemed achingly romantic at the time, but after subsequent encounters I came to think that her life was not really romantic at all. There's nothing romantic about heroin, about the scuffing and the cadging and the hustling. Rather than the imaginary romance of the myth, what I hear now in her music — and particularly in The Marble Index — is the combination of a naturally poetic sensibility and an unflinching originality. Back in the Sixties, hanging out at the Factory or on the set of Ready, Steady, Go, who could have guessed that she would turn out to be not a butterfly but a stoic ?